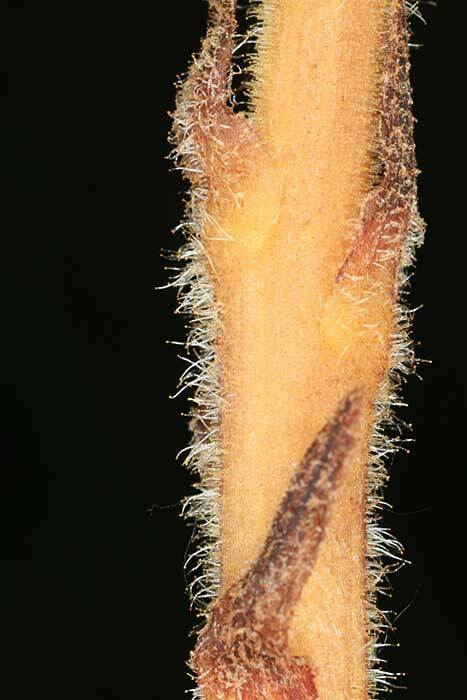 Orange-brown root tubers attach to roots of legumes, dandelions and some other plants including shrubs. 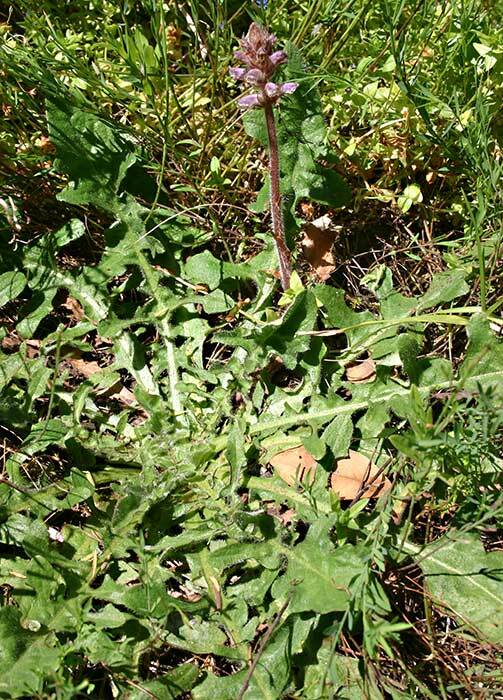 Tarweed has yellow flowers and the other red flowers. 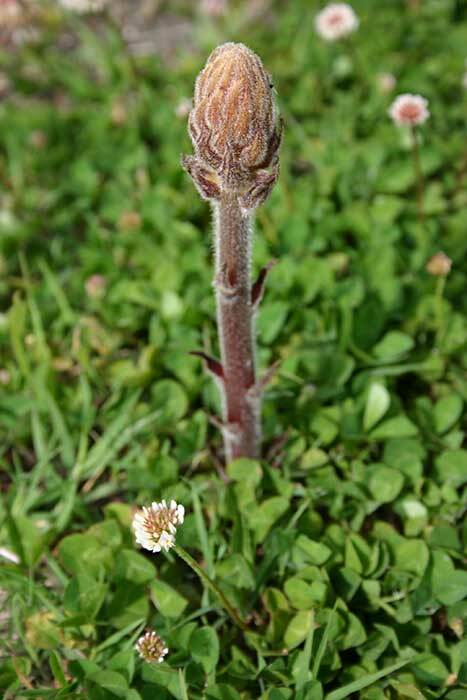 Tarweed is common on roadsides while red tarweed is rare and only found in pastures in a few parts of the North Island. 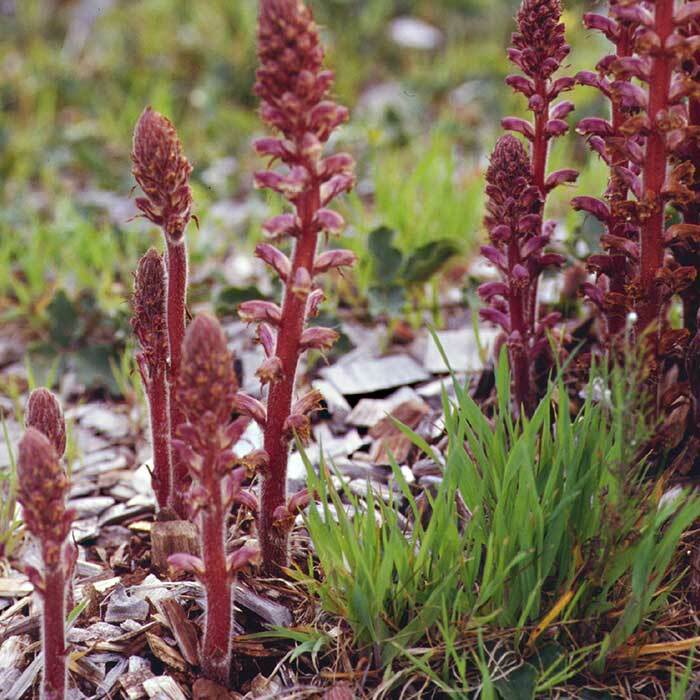 Broomrape was first found in New Zealand in 1867, near Whangarei, and is now a common weed of crops and pastures and waste places throughout the country. 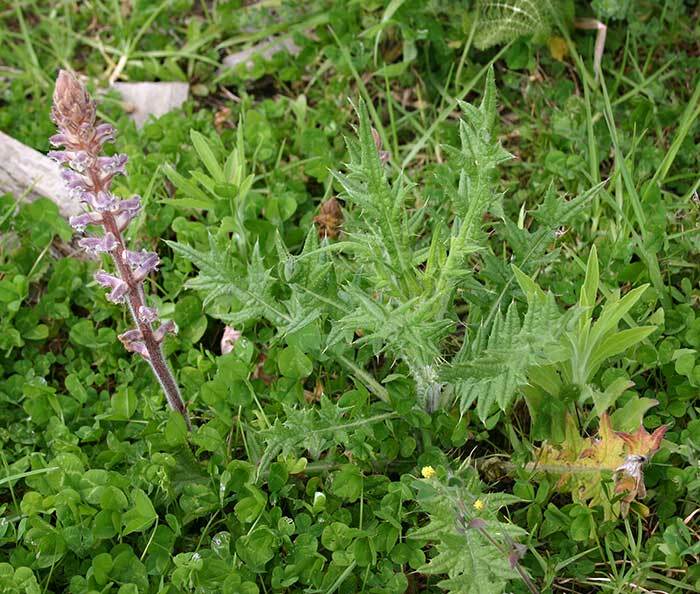 Plants occur on roadsides, disturbed ground, in open pastures and in crops on heavy soils. Seeds of these other species are considered serious contaminants of crop seeds in international trade. 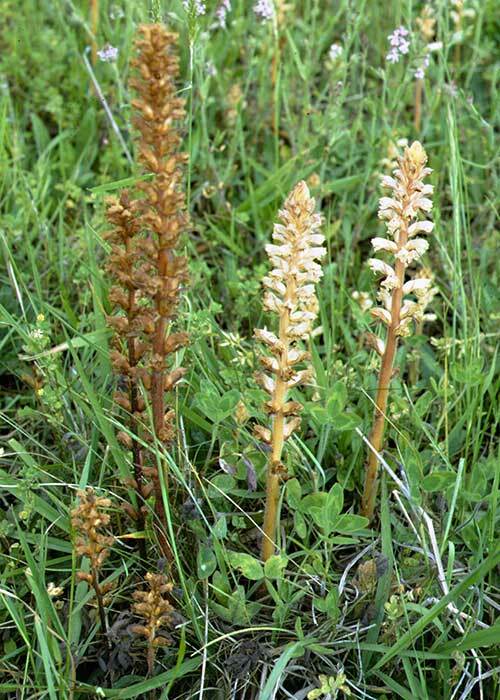 For other broomrape species found overseas, no single, cheap method of control is effective, so integrated control methods must be used for these more serious species. Diquat provides effective control in wasteland areas or prior to cultivation or crop establishment. 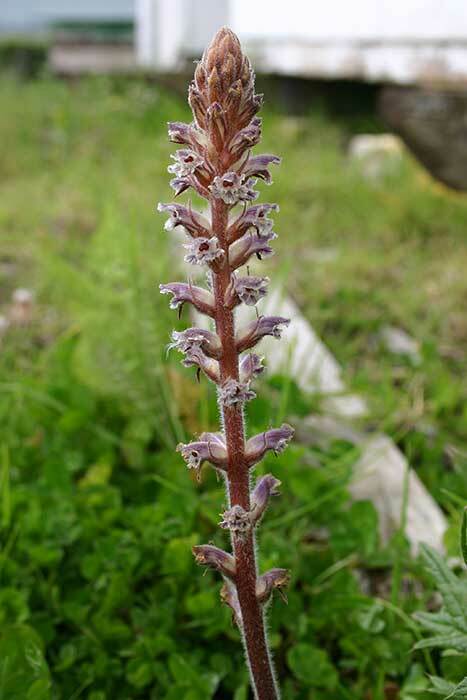 The broomrape-fly Phytomyza orobanchia was widely used for Orobanche control in the Soviet Union and some East European countries in the 1960s and 1970s, but Orobanche is not important enough here to warrant its introduction. 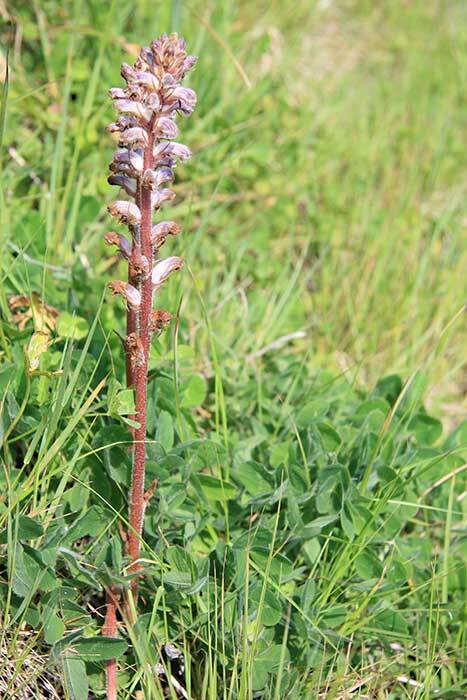 Catchcrops support parasitism but are destroyed prior to Orobanche flowering. James RW, Frater KC 1977. 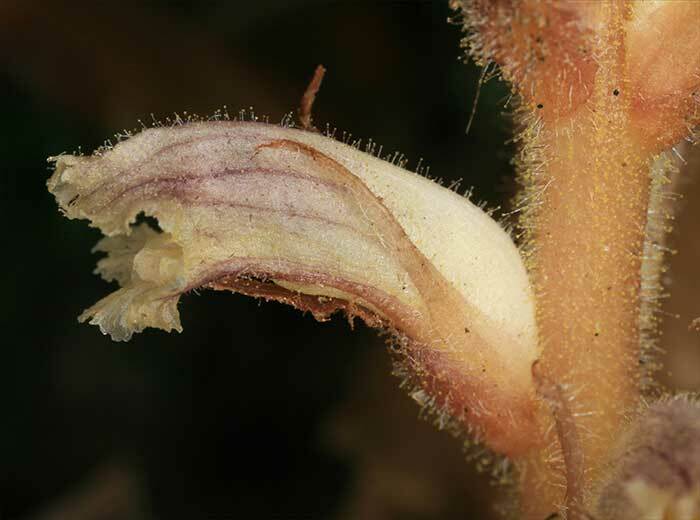 The control of broomrape (Orobanche minor) in flue-cured tobacco. 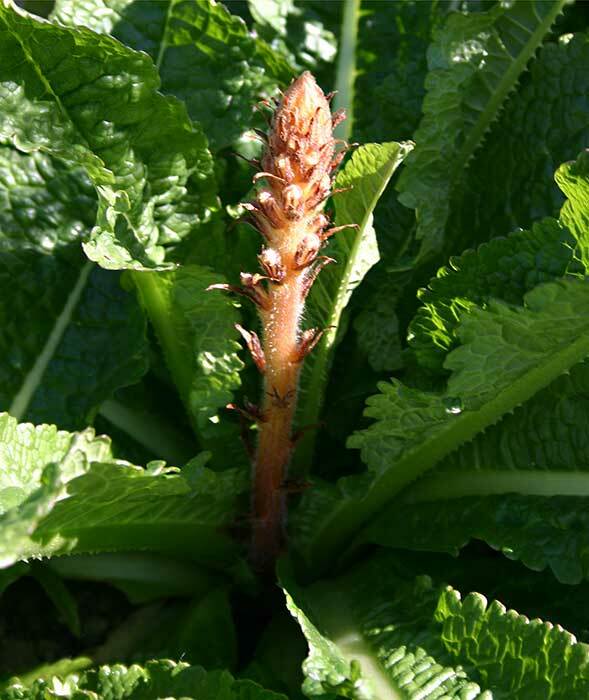 New Zealand Tobacco Growers Journal October: 10-13.